Sagar Shah is a leading member of the Jain Vegans group. He has written this article and is happy for me to share it with you. Sagar is a logical person who makes a huge effort to research and analyse things objectively before sharing his views. Please read, with an open mind as the information is thought provoking. There is an emerging consensus that cows and buffaloes on farms associated with Indian dairy cooperatives are treated humanely, and thus that veganism is not a requirement for adherents of Ahimsa in India. 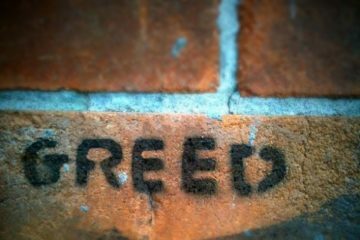 This article argues that this analysis is deeply flawed. The treatment of cows and buffaloes associated with dairy cooperatives is full of violence: cows and bulls are prematurely sent for slaughter (often across states); cows often suffer from inflamed udders; calves are separated from their mothers; there is inadequate protection from the elements; and there are cruel reproductive programmes involving artificial insemination and cross-breeding with non-native breeds. Moreover, much of the other milk available in India comes from private dairies or ‘tabelas’, where conditions are even worse. Given that the leaders of cooperative societies and the Indian government are promoting violent practices to raise the efficiency of milk procurement, the situation is likely to only get worse in the future, and thus, the only practical solution for any adherent of Ahimsa is to go vegan. There were no milch animals (either cows or buffaloes) over the age of 10 years on any of the farms I visited. When I asked farmers if they loved cows, they responded by saying that they love cows, and looking after cows is in their blood. When I asked why they did not have any older milch animals, they said they started to produce less milk and were too expensive to keep. When I asked them what they did with older cows, they said sold them on (generally for about 30% of the price of a milch animal of a similar breed in its 1st lactation). When I asked what the purchasers did with the milch animals, they went silent or said “whatever they want to do with them”. Sometimes I would also ask why someone would want to buy them if they were too expensive to keep, and I would get a similar response. These responses are a clear indication that these animals were sold for slaughter, and also the farmers were not comfortable to talk about it. 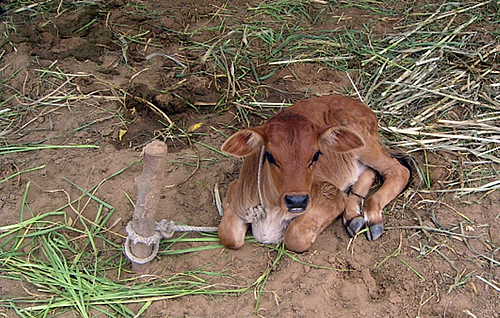 Although many states outlaw slaughtering of cows, these rules do not apply generally to buffaloes (which make up around 50% of indias herd of milch animals), and appear not be enforced when considering; a) the culling of young calves b) the selling of animals across states for slaughter in the destination state. NABARD (the Indian state-owned National Bank for Rural and Agricultural Development) and the Dairy India Year Book (by Pr. Gupta – regarded as the ‘bible’ of the Indian Dairy Industry) have published best-practice dairy farming articles recommending that all bull calves are culled within 10 days of birth. 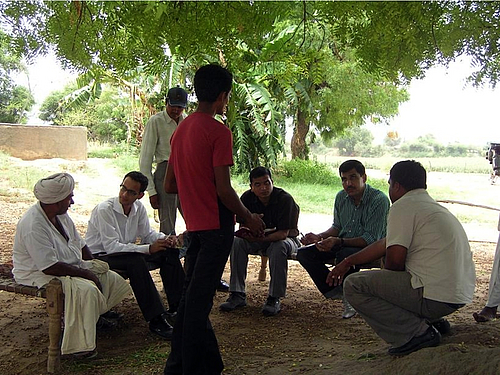 The head of a village level cooperative society (VLCS) in Gandhinagar confirmed that this practice is being actively promoted by cooperative societies. It was clear that the cows I saw were not natural breeds. 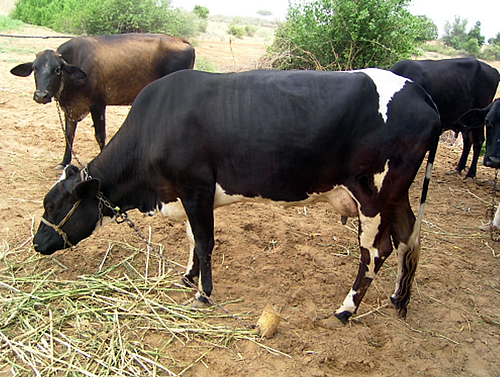 They were hybrids of Holstein- Friesian Cows or Jersey cows mixed with Desi (domestic Indian) breeds. Though these breeds have high milk yields, they are not suited to the Indian Climate. It is highly unlikely that these breeds were created without cruelty, and most of the breeding / testing centres are in the states of Haryana and Punjab (meaning long transport times – probably in very uncomfortable conditions). Most of the animals were tethered to trees or the ground (not free to graze), with very little room to move, and were not provided with adequate shelter from the scorching sun. Calves were kept separate from their mothers. Many of the farmers indicated that calves were not allowed to suckle milk before milk was extracted for humans, though in some cases calves were allowed to suckle for a short period of time as a way to encourage milk secretion. 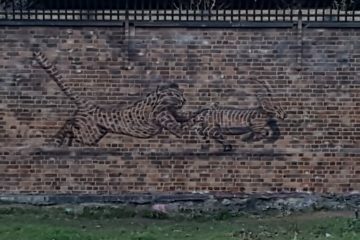 Although I did not see any direct violence, the milch animals were clearly afraid of humans (both visitors and farmers), i ndicating some sort of violent conduct towards the animals. This is a stark contrast from the cattle that I have observed at animal sanctuaries such as Hugletts Wood farm. Industrial private dairies or ‘tabelas’, are the two main alternatives to cooperative society procured milk (for those that do not own their own bovines). Although I have not got first hand experience observing the treatment of milch animals at either, a number of animal welfare organisations and individuals (including Gandhi) have documented concerns about the conditions of animals in such institutions, and I understand that both are worse (in terms of treatment) than cooperative societies. Industrial private dairies are said to treat milch animals like machines, and rear them in factory-farm conditions. 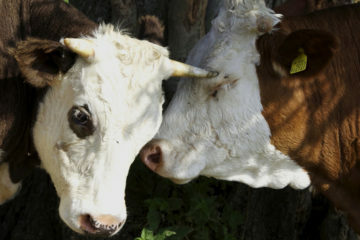 ‘Tabelas’ are said to keep milch animals in filthy conditions, inject animals with dangerous chemicals such as oxytocin, and have inadequate veterinary care. I have come across several articles on the dairy industry (from a variety of experts in government, cooperative societies, private dairies and research institutions) recommending cruel practices such as culling of bull calves and premature slaughtering of milch animals (in fact ICICI won’t give a loan to a farmer that has milch animals older than 10 years). I have also come across several articles documenting how the government wants to expand output in the dairy sector by encouraging efficient production methods (which inevitably will cause increased suffering to milch animals). The idyllic impression that many hold about the treatment of cows on dairy farms in India are deeply misguided. Based on my observations of farms in Gujarat (which is said to treat its cattle better than most other states), dairy cows and buffaloes endure endless suffering in a number of dimensions. Suffering that one not may observe simply driving past a farm. Going vegan has never been easier, and a number of delicious vegan alternatives to milk, butter and ghee are widely available across India. Visit http://www.indianvegan.com, http://www.sharan-india.org, or http://www.indianvegansociety.com, for further information about veganism in India. Excellent article. Great job doing research on such an important issue. I encourage everyone to become vegans. Not only will your health become better but the animals will no longer suffer and you will not incur any karma by aiding violence to animals. ARE YOU DRINKING DAILY A GLASS OF POISION? Just think, that the milk which is deliver at your door steps early in the morning by the milkman or purchased by you from the milk-booth or dairy is pure? Daily glass of milk is healthy, think again. Milk is considered as good for health, your doctor will agree so also your grandma. For many, milk is nutritious and energetic, in short a wholesome diet in itself. A matter of purity, it’s time for rethinking for the matter of purity of milk. Milk is being adulterated with harmful substances such as Caustic Soda, Detergent, Urea, Refined soya been Oil etc..
That on this issue one TV channel earlier flash the news, inspite of this our government machinery failed to restrict the manufacturer of Synthetic Milk. Now in Maharashtra the farmer/dairyman, milkman are injecting Oxytocin drug for getting the instant and excess milk. That the milkman instead of offering “quality cattle feed comprising mineral and vitamin mix, to enhance the producing capacity of milk,: injecting the “Oxytocin” drug to the animals in the morning as well as in the evening. In fact the injecting of the Oxytocin for quick release of milk from udder is wrong practice; the hormone is harmful to human being too. In fact Oxytocin is a natural hormone that causes the uterus to contract. Oxytocin is used to induce labor, strengthen labor contractions during childbirth, control bleeding after childbirth, or to induce an abortion. Oxytocin (ox-i-TOE-sin) is a hormone used to help start or continue labor and to control bleeding after delivery. It is also sometimes used to help milk secretion in breast-feeding. That testing of the Oxytocin in milk is difficult; once injected into cattle the hormone breaks down in the body in a couple of minutes, but remains its harmful effect. That from the many research, it is noticed, that if the Oxytocin injected cattle’s milk is analise in the lab, it brings about changes in the milk and it may not show up, the other minerals, fats and proteins in the milk changed. Moreover, it’s not just animals alone who pay a price for the hormone injection. People drinking the same milk are also at risk. According to the Animal Welfare Board. A substantial part of the Oxytocin could be seeping into milk. And children are most susceptible to its effect. It is known to impair both hearing and eyesight and result in loss of energy and exhaustion. Unfortunately people who consume this milk do not know that the milk has Oxytocin; there can be problem like neo natal jaundice, eyesight, gastric problems. It can also lead to puberty. The prevention of Cruelty to Animals Act 1960 has made the indiscriminate use of Oxytocin a punishable offence. The Act says” if anyone injects a milk animal with any substance to improve lactation which is injurious to the health of animals, he shall be filed Rs.1,000 or jailed for up to two years or both. The animal shall also be confiscated by the government. That recently information pertaining to the use of Oxytocin had been collected by me from the Food and Drug Administration Maharashtra State, through its Nagpur office. That the Information officer who also possesses the post of Assistant Commissioner (Drug) admitted the fact of use of Oxytocin by the farmer and milkman. But failed to supply the information regarding its complication only on the ground that there office do not having the data regarding the same. So also there was and is no search and seizure since last couple of year. It clearly establishes that how government offices are is functioning. That preparing the synthetic milk or use of Oxytocin as stated above is serious business of corruption. That on one side on television and in media the government machinery is advertising that drink a full glass of milk. That every time before drinking a cup of milk everyone might have to think twice. I had no idea about a lot of what you’ve written about! Stop having milk, tea, ice-cream, butter, buttermilk, yogurt, chocklates and ofcourse stop eating vegitables as they do contains life…..
Clear case of negative thinking…..
Purely lacking solusions and only focusing on problems. Options: Find the solution or stop eating Butter, Milk, Ice-cream, Ghee, Cheese, Paneer etc….